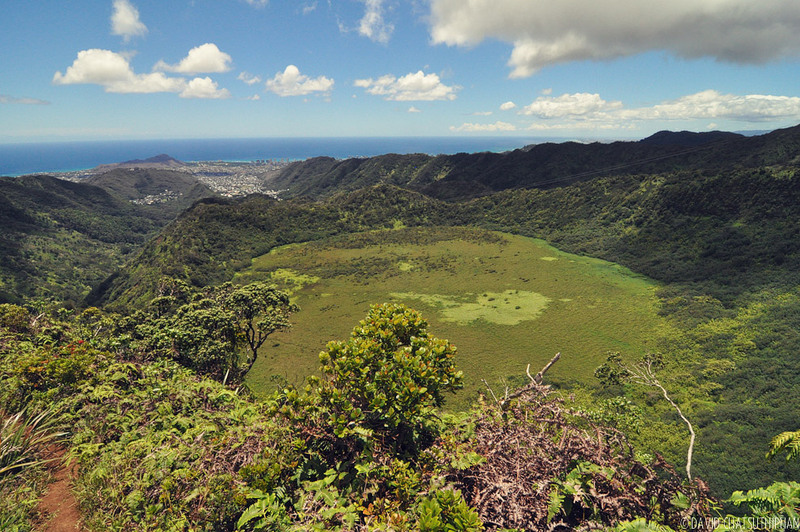 There are three craters (or, “tuff cones” if you want to be nerdy about it) around Honolulu. 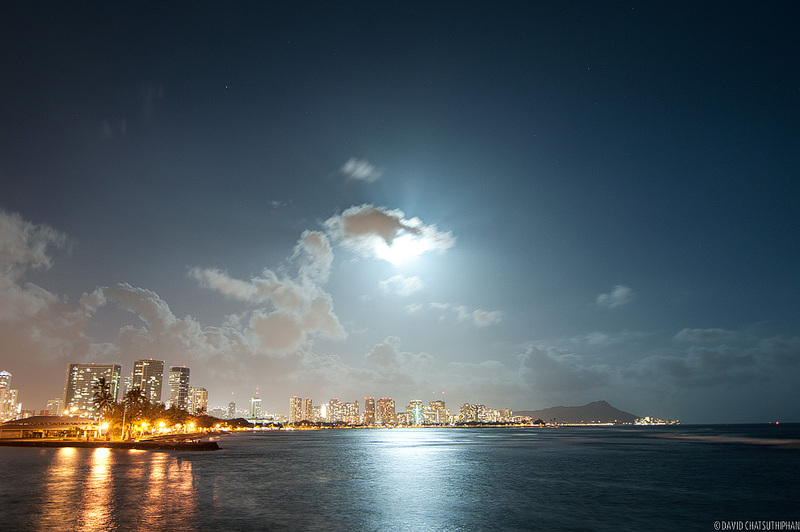 The famous and iconic Diamond Head, the infamous Koko Crater (notorious for the steep 1,048 step hike) and the lesser known Ka’au Crater. Unlike the first two, you can’t drive up to Ka’au Crater. You gotta hike through a valley just to see it. But, wow, what a hike. 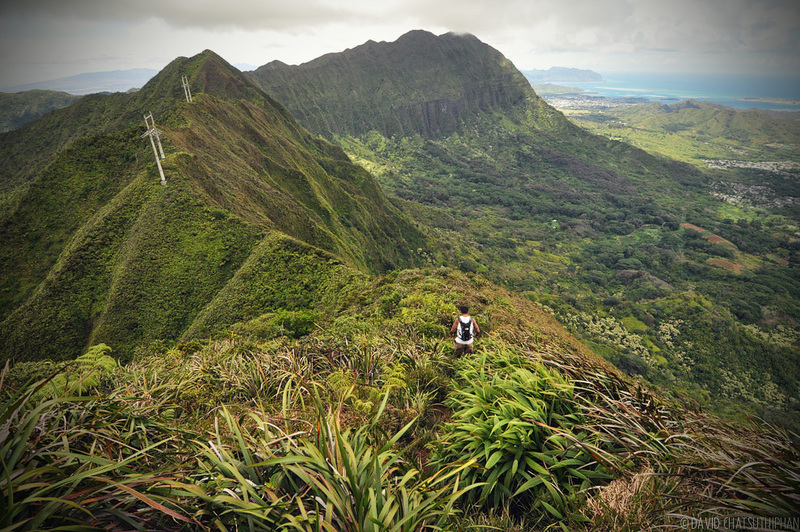 Over the course of 5 hours, you’ll walk through the forest, cross streams, see three waterfalls (scrambling up the side of one of them), find the hidden crater and hike it’s ridgeline. 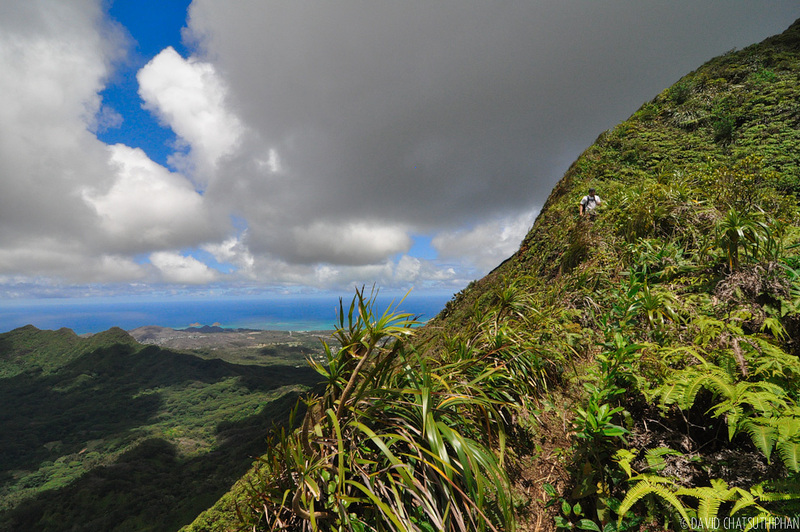 The trail starts in the very back of Palolo Valley. This stream flows through the valley. You follow it through the valley and cross it a few times to stay on trail. 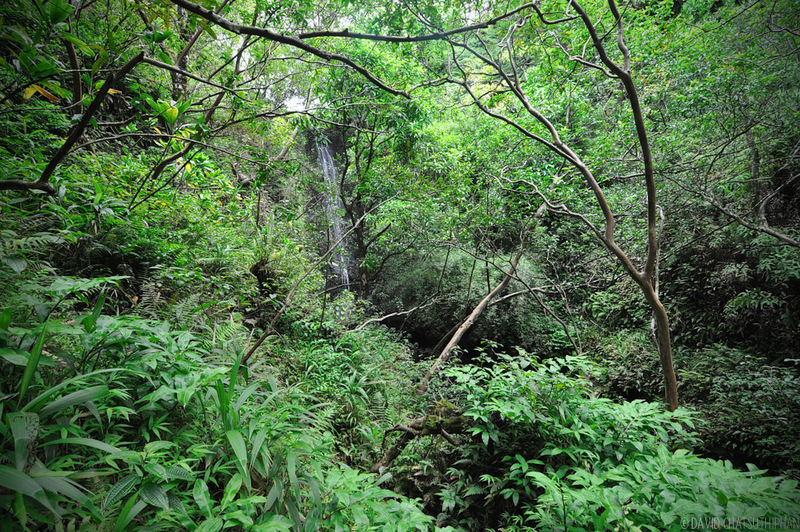 Then the first waterfall appears. It’s not the biggest waterfall I’ve seen but it sure is nice. 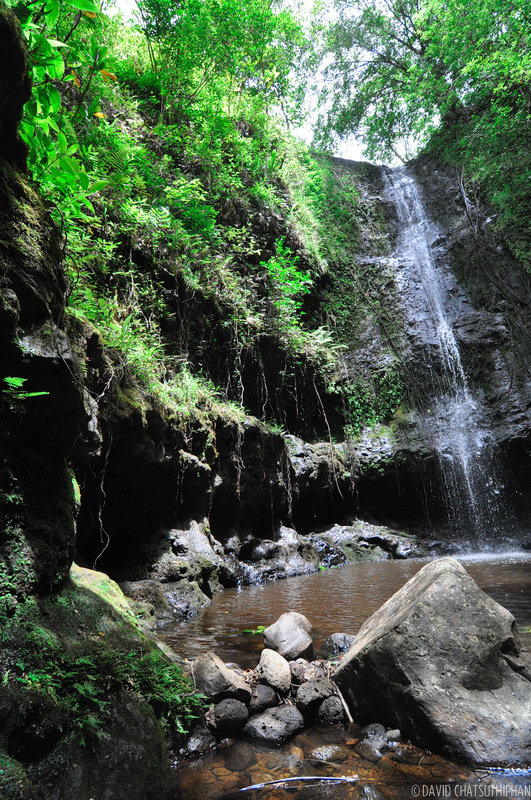 It would even be worth it to make the short hike to the waterfall just to hangout and have lunch here. 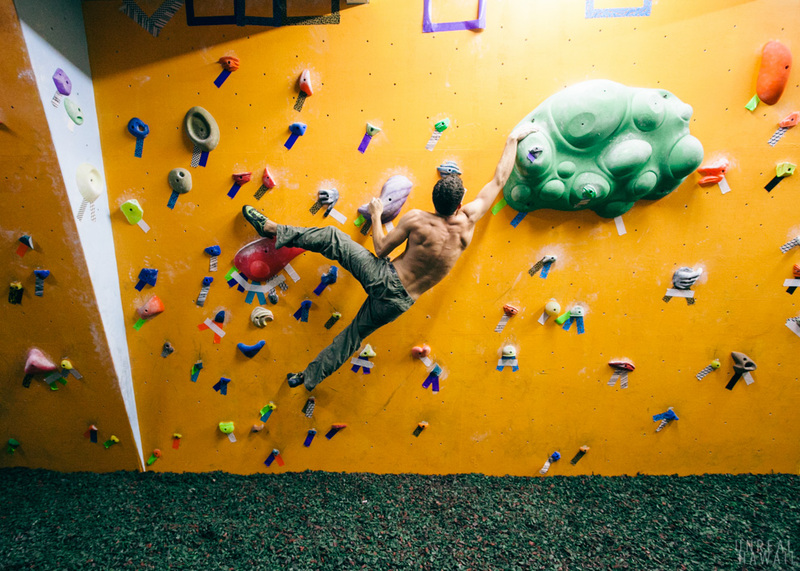 The rocks give it that magical feeling. 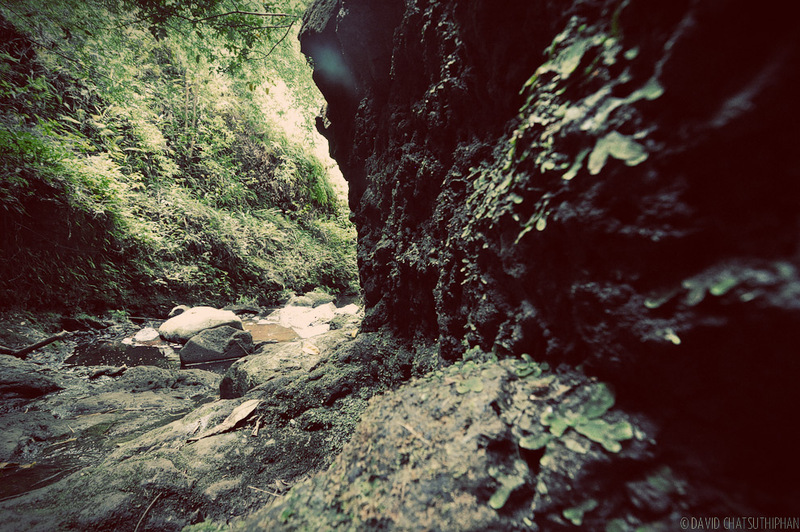 After you’ve rested a bit, you’ll make your way up the trail to the top of the waterfall. 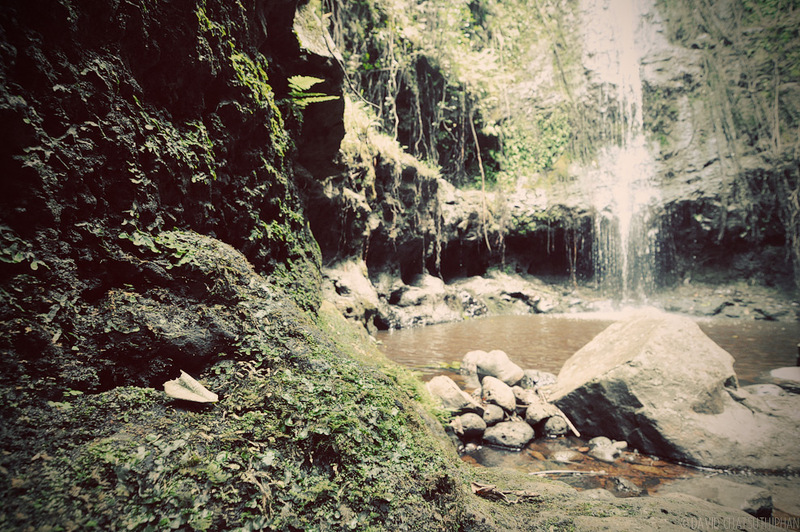 A short while after you’ll come across waterfall number two. 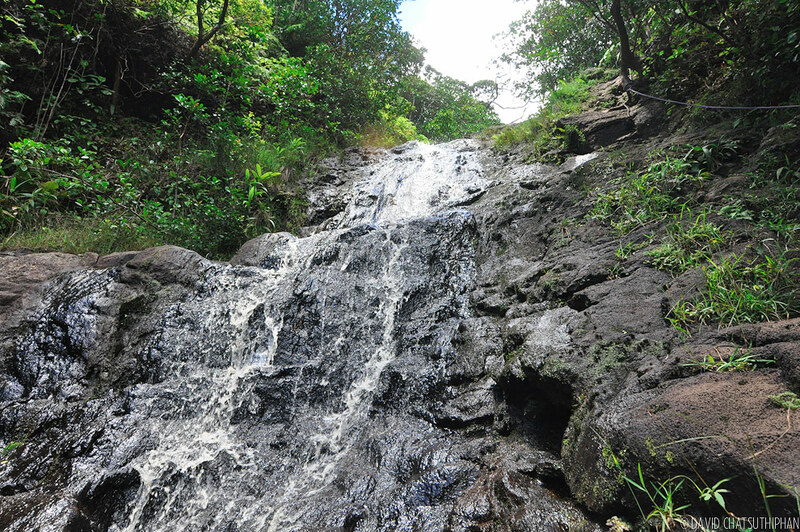 This is the second waterfall. It’s bigger. 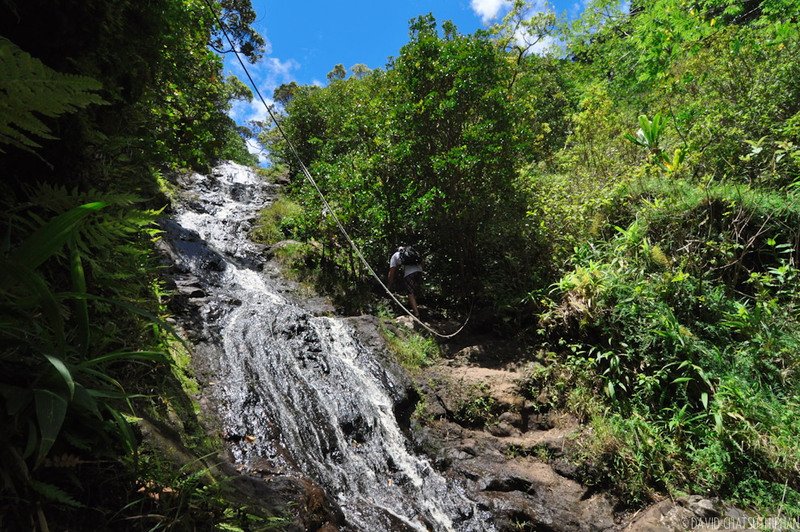 And again, you’ll follow the trail up around the waterfall. When you reach the top of the waterfall you cross over it. From up here you can see the water gushing down into the stream and the entire valley. 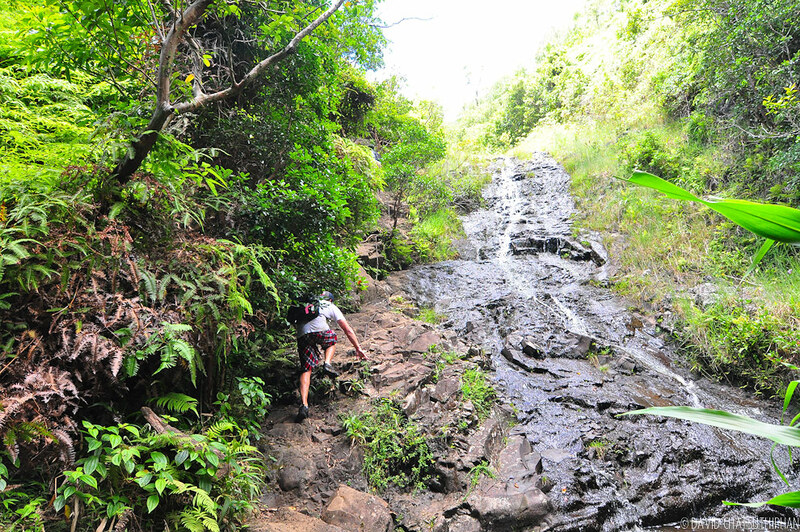 You’ll hike another short distance on the trail and hit waterfall number three. 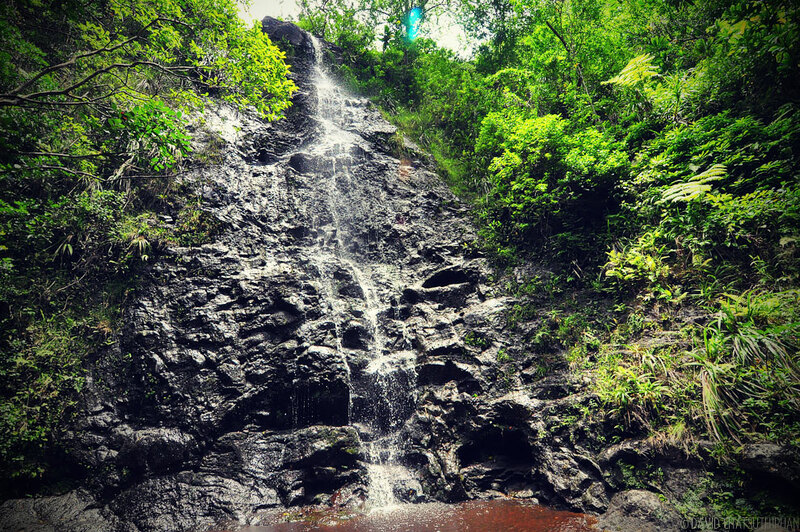 This is the third waterfall. 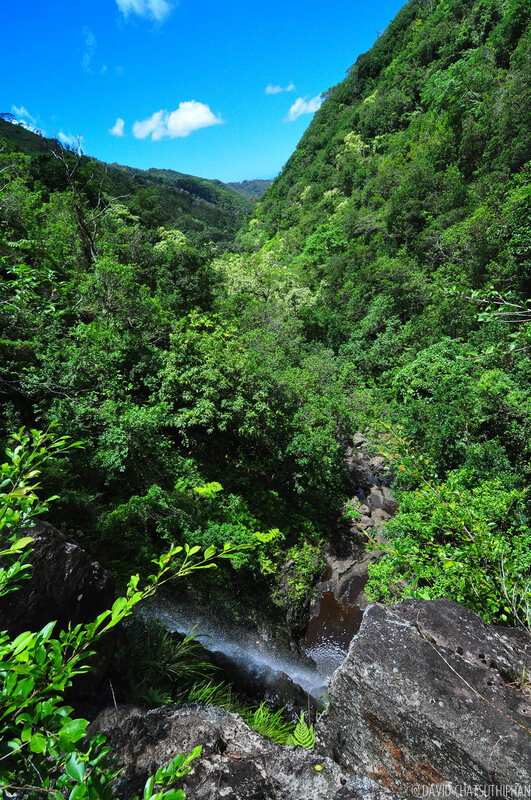 I’ve actually take it a picture of the waterfall before while on Lanipo Trail — the ridge on the other side of the valley. 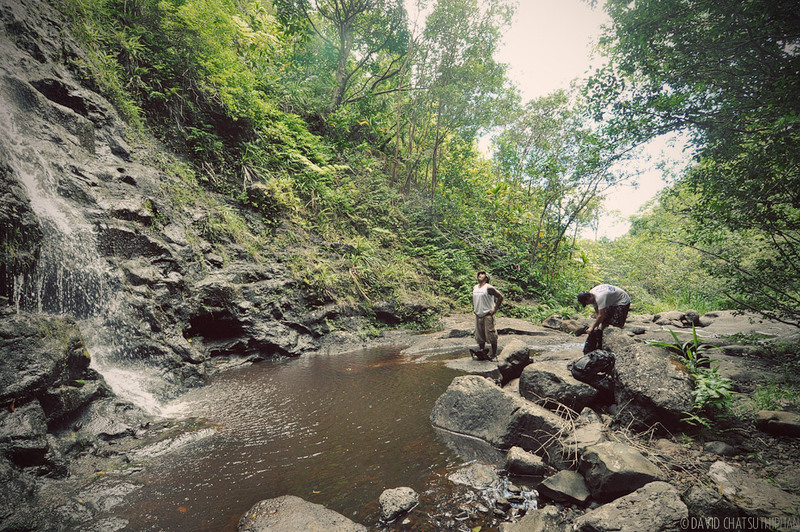 You scramble up the rocks right next to the waterfall for a couple hundreds yards. 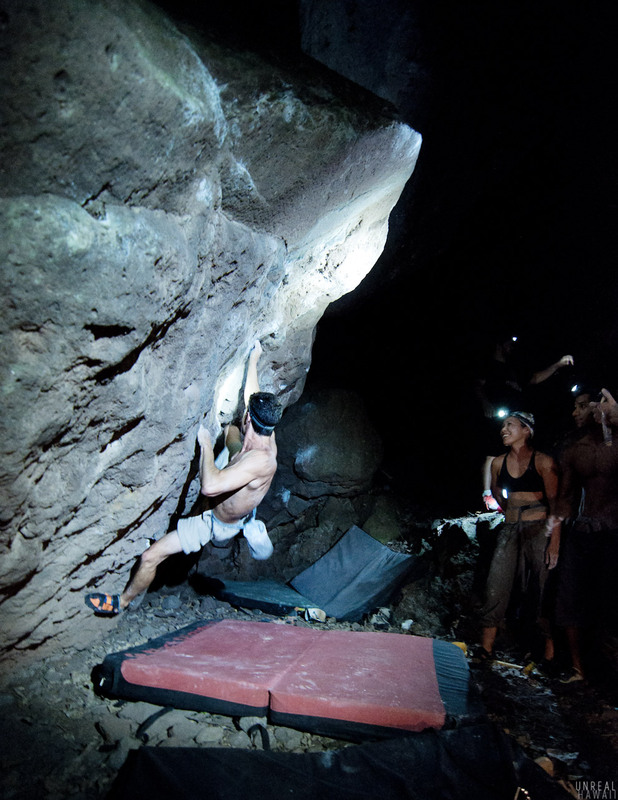 More scrambling. 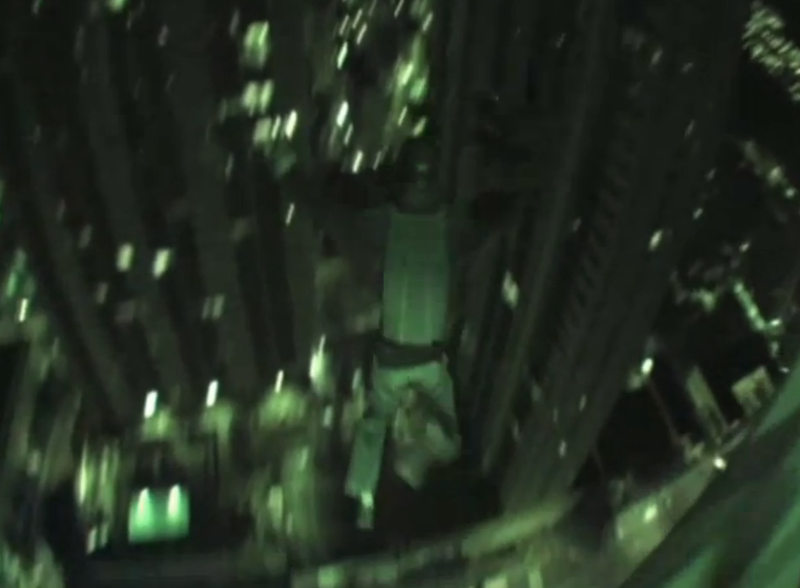 You can see a rope is in place (on the right) in case you slip. For the most part, you don’t need it though. 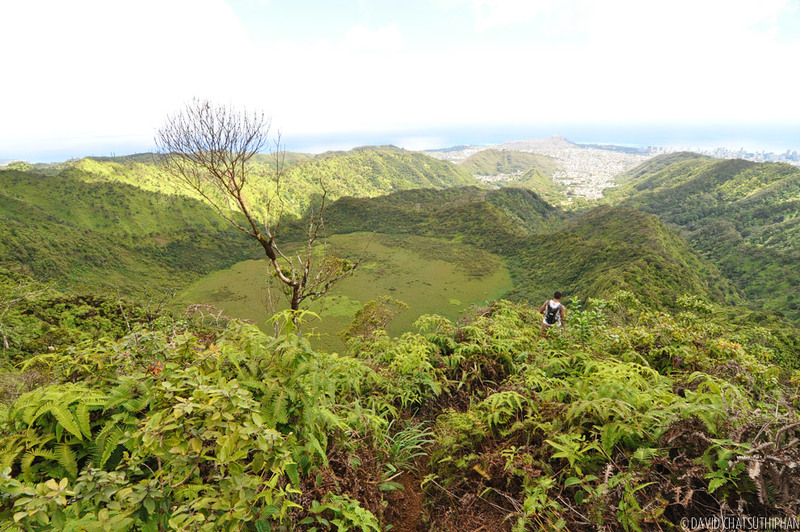 And finally, you get your first glimpse of Ka’au Crater. It looks like a meadow and seems totally out of place. And now the fun part: hiking the ridgeline. We’re hiking up the summit here with the crater on our left. 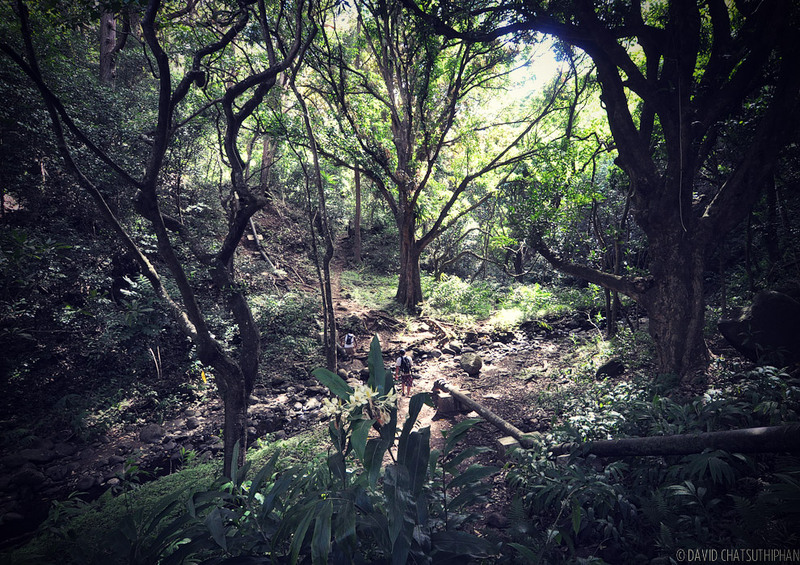 The trail will take you up to the top, circle around the crater, down a ridge overlooking the valley and then back down to the stream. So, it’s a loop. 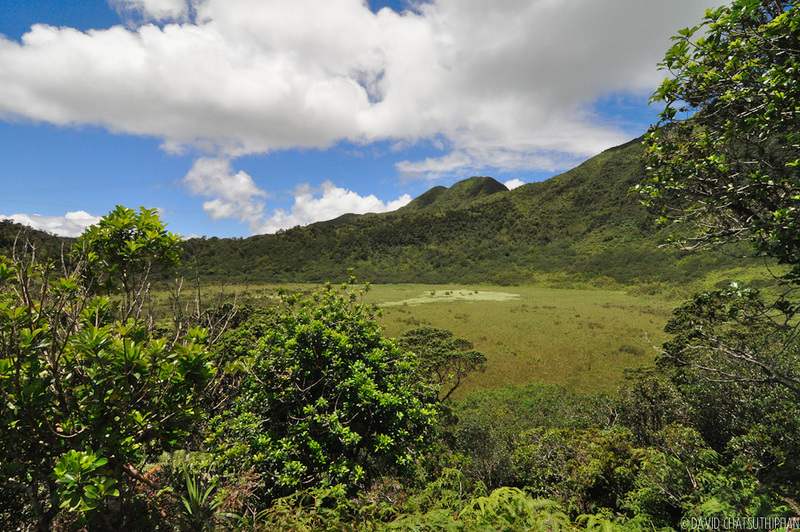 Once you get to the summit of the crater ridge you’re rewarded with this amazing view of the Windward side of the island. 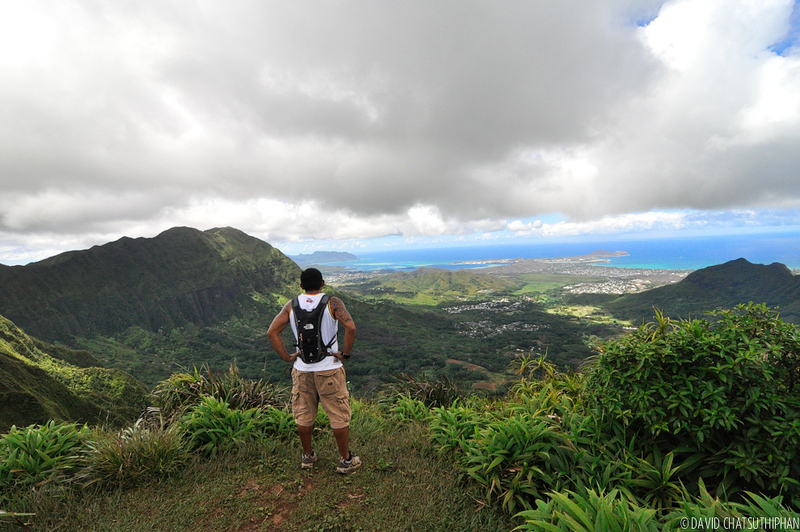 You can see Olomana, the Mokes, Waimanalo, Chinaman’s Hat, the Sandbar … pretty much everything. Now find the pink ribbon to the left and continue on the narrow crater ridge. 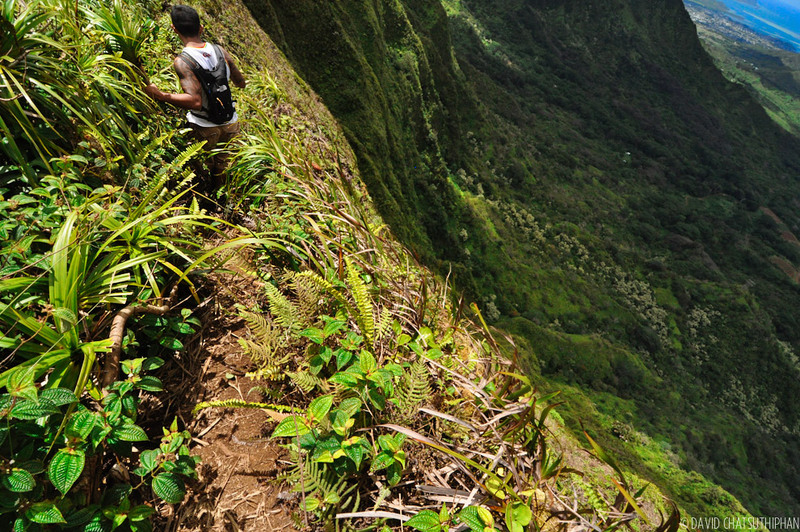 There are some steep drop offs and the trail is narrow so watch you step. I love this stuff. But it’s okay to pause every now and then to soak in the view. Once you get past that section of the ridge you’ll see the trail down. We’re on the other side of the crater now. 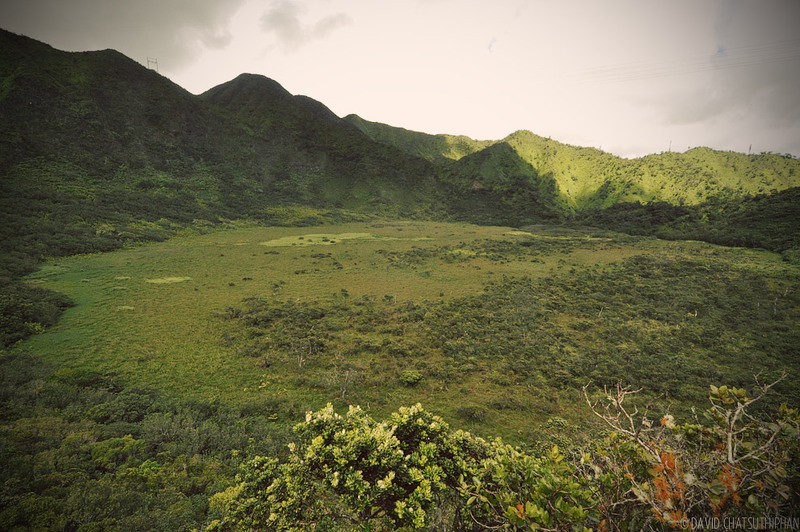 I’ve read that the inside of Ka’au Crater is all marsh and that you can’t really walk on it. This would make sense as it’s the source of all the water for the three waterfalls. 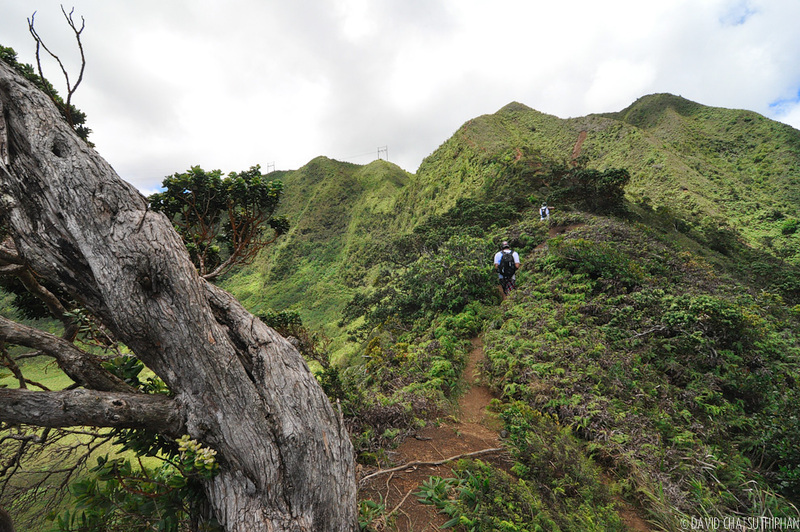 As you complete the loop around the crater ridge, look out for the trail that takes you down the ridge. The other option would be to hike back down the three waterfalls and into the valley, but at this point in the hike, that option would be a bit too exhausting. The ridge takes you almost back to the starting point of the hike. Cross that stream a couple of times and you’re out of the forest. Then it was time to take our shaky legs home. 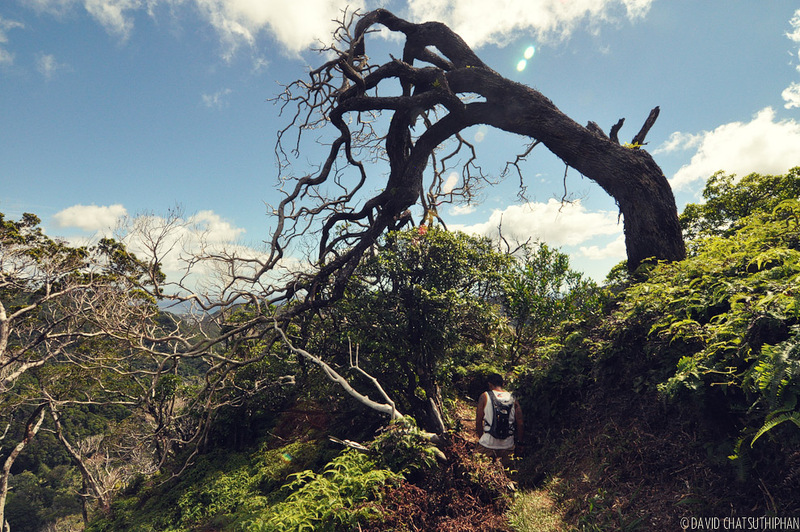 Beautiful photos of the Ka’au Crater hike by Jeff Flores. The ridge directly to the east is Lanipo.